Kate’s comment on my last post really got me thinking. (It will be helpful to read it now, if you haven’t already done so). In it, she tells of the difficulty she and her husband, Roo, had tolerating car travel following seven weeks of walking through natural and rural countryside. They found that their brains had to re-adjust to a “non-natural” flow of visual information and the pace of movement. What Kate describes strikes me as a dramatic instance of directed or voluntary attention fatigue (DAF). The term “directed attention fatigue” may be unfamiliar to you, but you will know the experience itself. You may associate it with driving, with the close reading of documents for work purposes rather than for pleasure or with staring at a computer screen for hours. You may know it from being in a job that puts you at the hub of different channels of communication – email and phone as well as talking face-to-face, for example. Even negotiating busy footpaths and shopping malls requires directed attention. All such situations set us up for DAF because they require us to maintain attention in the face of many potential distractions. Carefully focussing on information from one source while we try to block out the information from others involves mental effort. Psychologists have long distinguished between two kinds of attention – voluntary and involuntary. You a re engaged in voluntary attention right now as you read this post. You are aware of what you are doing and you are mindfully in charge of the process. Your attention is directed to the words on the page because that is what you have decided. You are making the effort to pay attention or concentrate. Now imagine that you hear an unusual bird-call right outside the window of the room you are in. What happens? Straight away you would have your head turned and eyes directed at the window and beyond. No volition or thinking would be involved. Your response would be involuntary or automatic. You would not be able to resist the attraction of the sound. You would be under its spell so to speak. This is involuntary attention or “fascination” (from the Latin word for “spell”, fascinum). Whereas voluntary or directed attention requires effort and is fatiguing – often damagingly so, involuntary attention or fascination requires no effort and is restorative – often therapeutically so. Interest is the primary driver of attention. High interest makes us attend in an automatic, involuntary and centred way. Low interest, on the other hand, leaves the brain with the options of paying attention or not doing so. What happens will be largely a matter of choice. As it is associated with high-level interest, fascination is sometimes spoken of as interest-driven attention. Voluntary attention, on the other hand, is described as choice-driven attention. Because it is our biological “home”, nature holds an enormous amount of intrinsic interest for us, more than we instinctively find in the fabric and artefacts of the constructed world. As part of biophilia’s legacy, we are born with a disposition to experience nature as interesting, but we have no such innate disposition in relation to created environments. That is why, in the human mind, nature and fascination go together. The distress that Kate and Roo experienced was produced by their wrenching transition from the comfort of fascination to the challenge of directed attention. It illustrates vividly the mental and emotional burden that voluntary attention, especially under conditions of sensory bombardment, can impose. 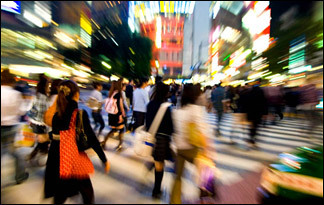 The worrying thing is that we can “get used” to living with sensory or information overload. This does not mean that we are freed from the hard work of voluntary attention. It just means that we manage to “put up with it”. We can even be duped into thinking that operating with directed attention is “normal”. Kate and Roo’s experience should tell us emphatically that it is not. Certainly, the intensity of their experience was exceptional, probably because they are both highly nature-aware and nature-sensitive individuals. I can hear some people saying that such an experience would never be theirs, insisting perhaps that they are more comfortable mentally and emotionally with urban sights and sounds. So, they might ask, what does this say about fascination and biophilia? Sadly the question should be, what is it saying about them – about their sensitivity to nature in particular? We may have inherited brains that are geared for mental and emotional engagement with nature, but this awesome complex of abilities (our biophilia in other words) has to be cultivated through use. Neglect these abilities and they atrophy. Dulled, they no longer serve our own well-being and indeed the well-being of the planet. When we divorce ourselves from nature we lose one of the most life-enriching and life-affirming parts of ourselves. We owe it to ourselves, our loved ones and humanity not let that happen. Come to think of it, these two sentences sum up very nicely my rationale for writing Claim Your Wildness and publishing this blog. 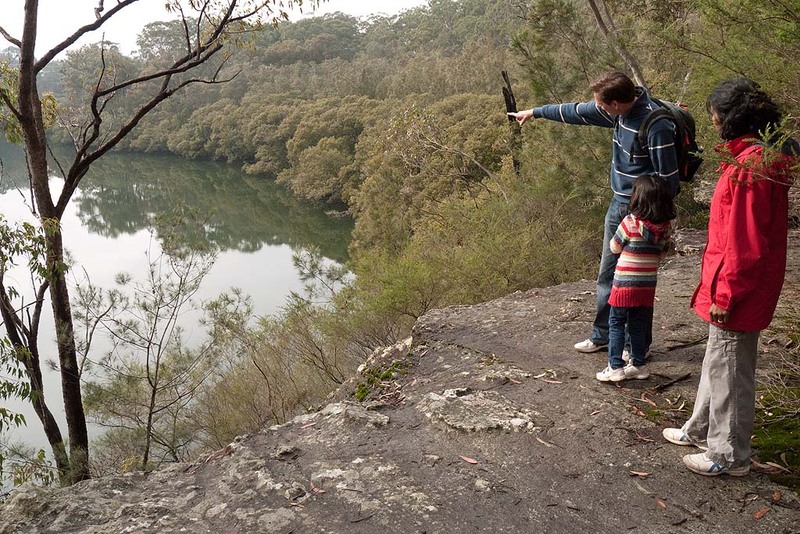 Bushwalking is the Australian version of hiking, tramping and rambling. “Bush” refers, among other things, to an area of natural vegetation. So, a recreational walk in such places is a “bushwalk”. 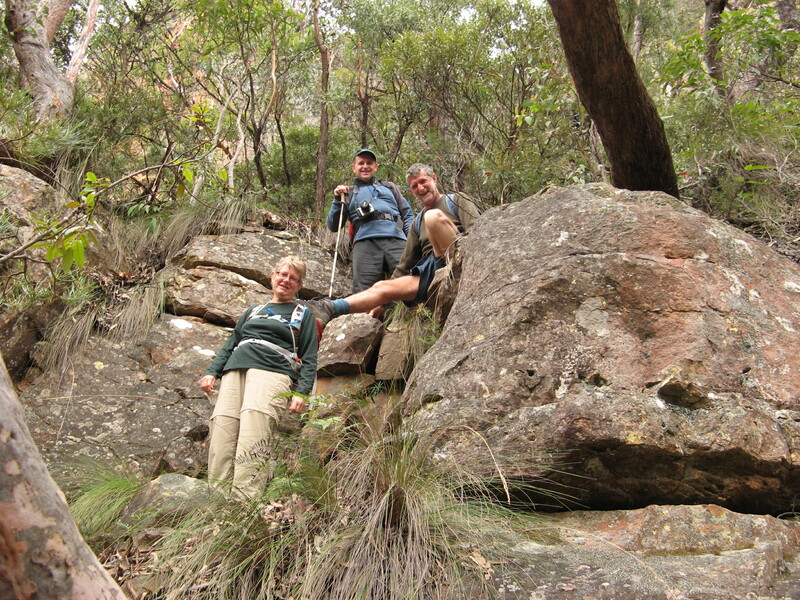 A bushwalk can be as short as a few minutes or as long as several weeks; it can be on anything from an easy-to-navigate path through to completely trackless terrain; it can be easy on the heart and lungs, extremely arduous or anything in between; it can involve carrying next to nothing, light day packs or backpacks filled with camping gear weighing up to 15 kg or more. 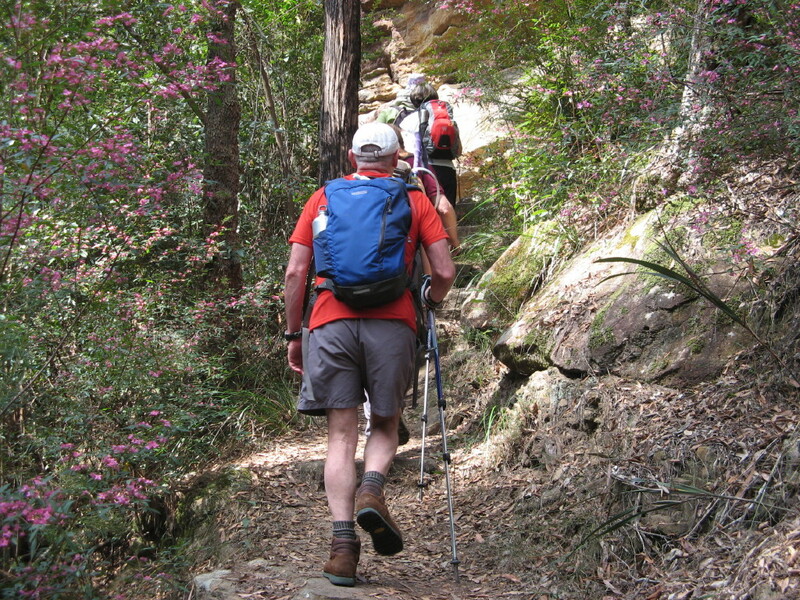 A great advantage of bushwalking is that it is neither elitist nor exclusive. It is an activity that can be enjoyed by all sorts of people – including many who might think that it is not for them. 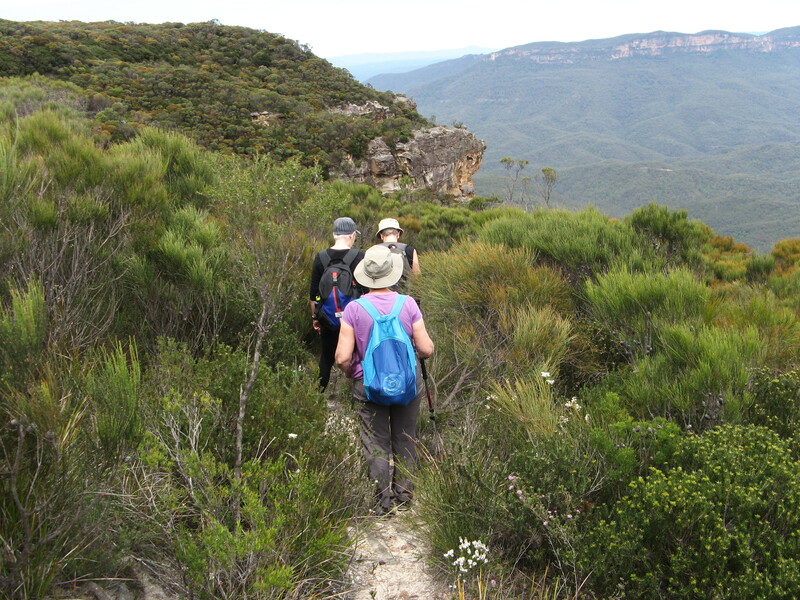 Bushwalking is also a multi-layered or multi-faceted experience with something of value for our minds, emotions and spirits as well as our bodies. It truly is the ideal way of connecting with nature. A particularly attractive aspect of the bushwalking experience is the “after-glow”. This emotional state is a wonderful mix of relaxation, satisfaction, fulfilment, goodwill and often heightened self-esteem. It is a state that shows in people’s faces, in their bonhomie and in their enthusiasm for a post-walk coffee or meal where they can de-brief and share their good feelings. And there is nothing illusory about the bushwalkers’ glow. It is a real phenomenon that arises from activity in several brain networks – notably the “reward” (dopamine) and the “liking” (noradrenaline) networks. It is actually a kind of “high” – with a slight addictive potential – and like other kinds of “high” emotional states, it is missed when it passes. In fact, after particularly arousing bushwalking experience, people can feel “re-entry depression”, which can range in intensity from feelings of regret through to a sense of having left part of oneself behind in the bushland. The intensity of the “depression” is related to the potency of the bushwalking experience and the starkness of the contrast between the world that is being left behind and the one that is being re-entered. But a temporary sense of loss and sadness is a small price to pay for the mental and spiritual capital that can be accumulated during bushwalks – even short ones. I am still enjoying the ripple effects of a four kilometre walk I did a month ago. Apart from the majestic Blue Mountain views along the way, the walk was adorned from start to finish with wildflowers. At walk’s end, my companions and I (most of us seniors by the way) were “bubbling” with the delight and exhilaration of it all. We were genuinely re-vitalised and certainly keen to have another hit of the bushwalkers’ glow.